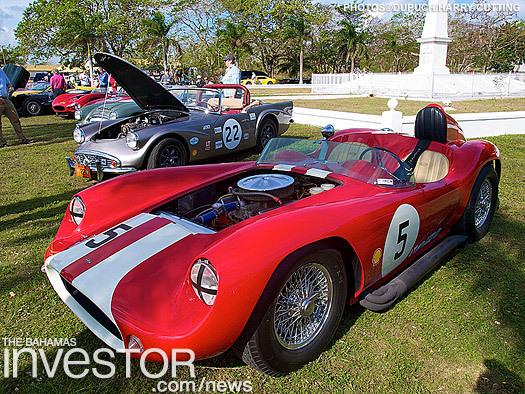 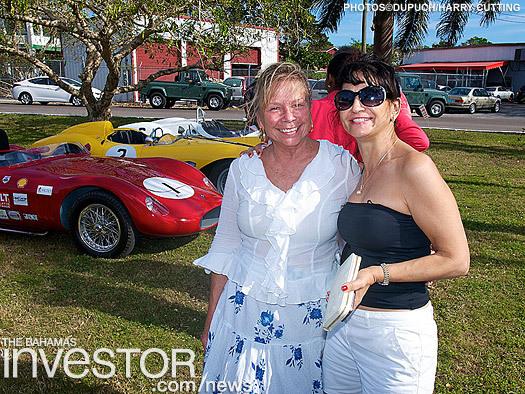 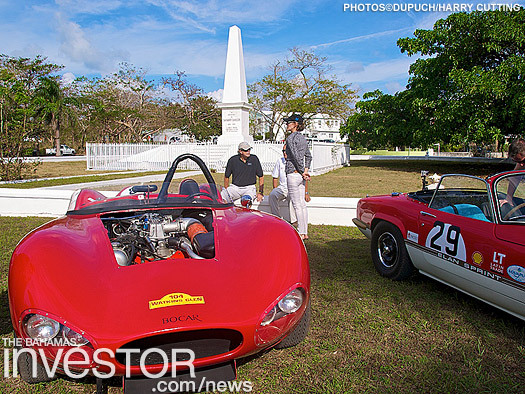 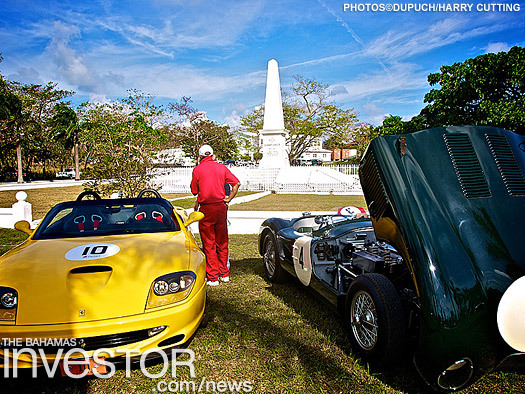 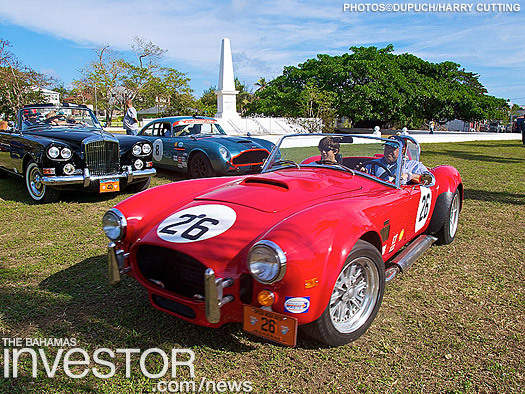 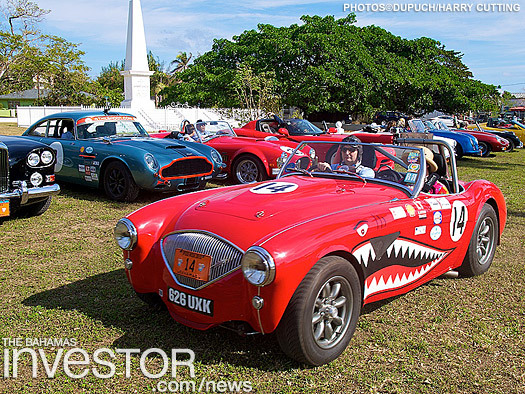 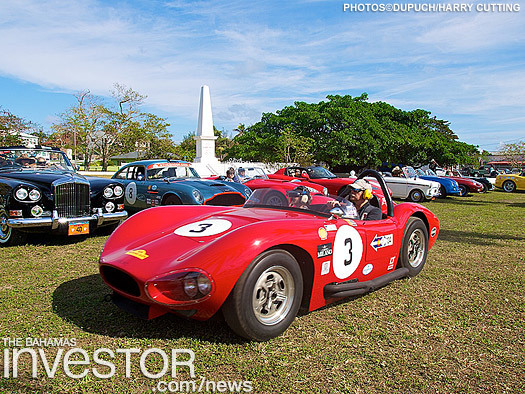 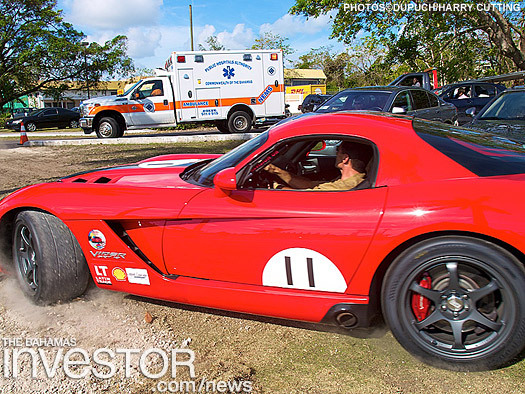 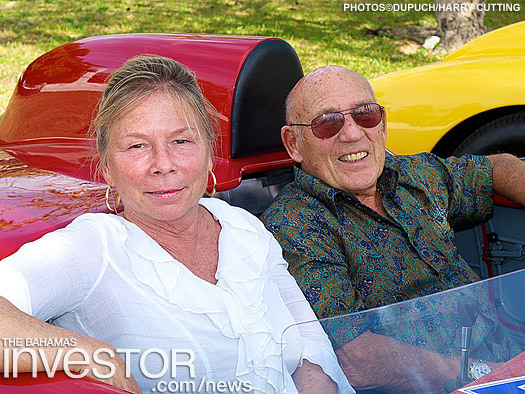 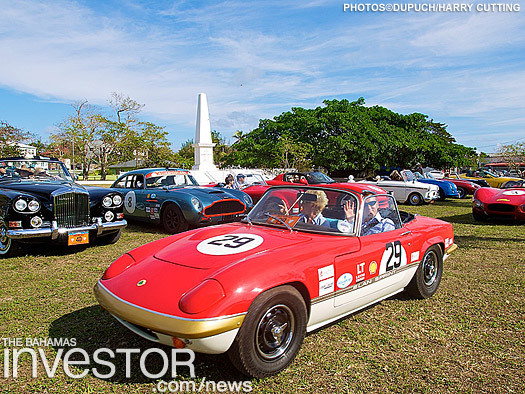 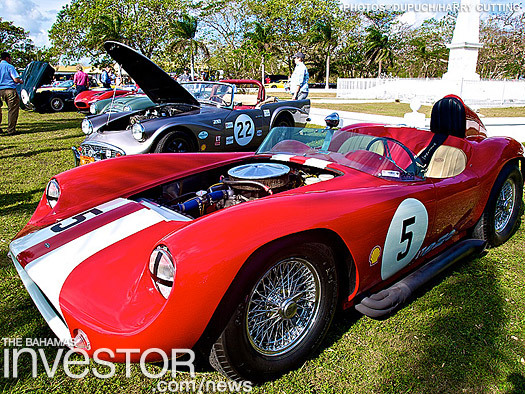 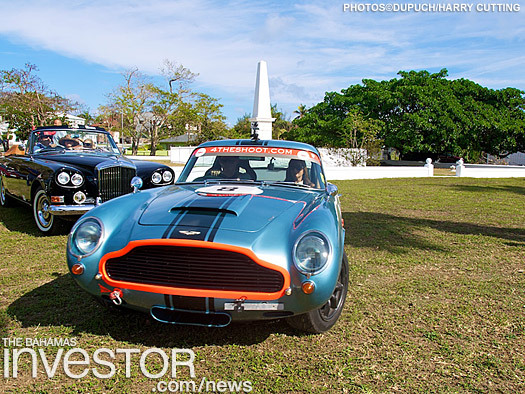 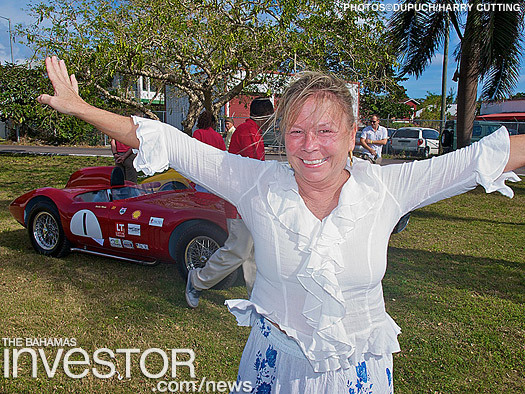 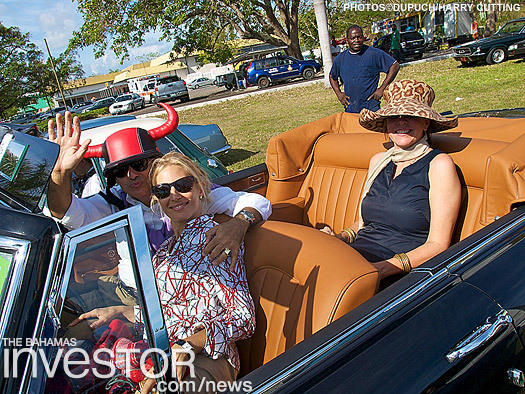 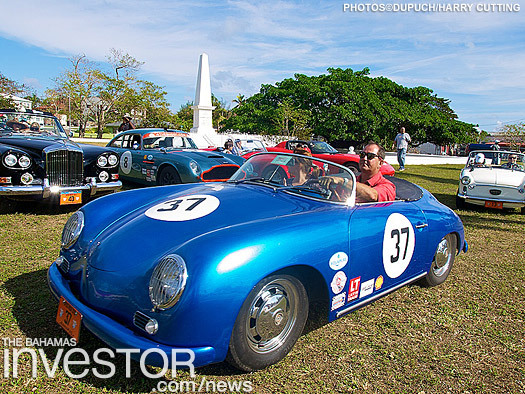 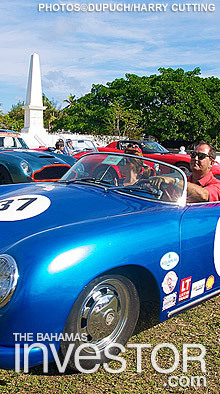 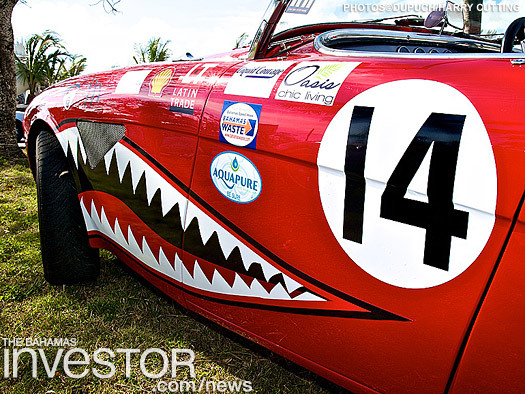 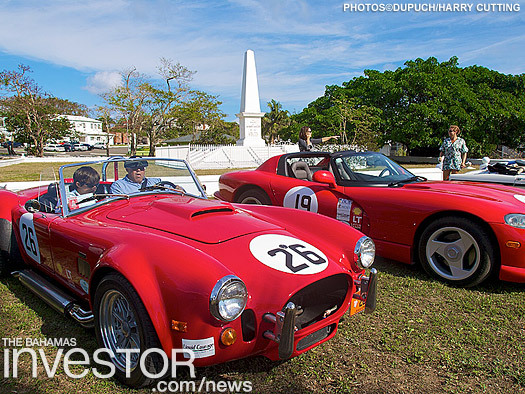 Speed Week participants gathered in Oakes Field on New Providence this morning, led by auto racing great Sir Stirling Moss and Lady Susie Moss. 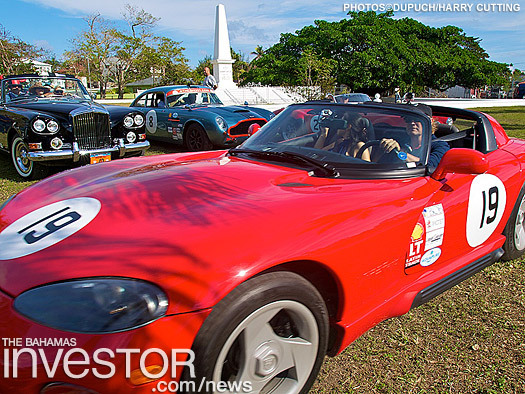 This year’s motoring extravaganza runs through December 2. 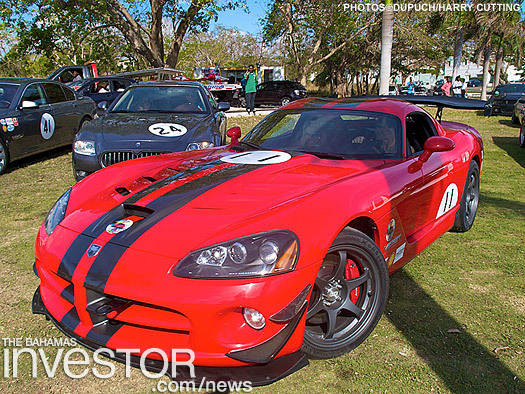 Tickets to the events can be purchased individually at bahamasspeedweek.com.